“My name is Melissa and I’m a postgraduate student from Liverpool Hope University on the Museum and Heritage Studies course. I’m very pleased to be joining the HOP team for my university work placement. I will be working in the team until the end of May, learning all about the work carried out by National Museums Liverpool to benefit the lives of older people. 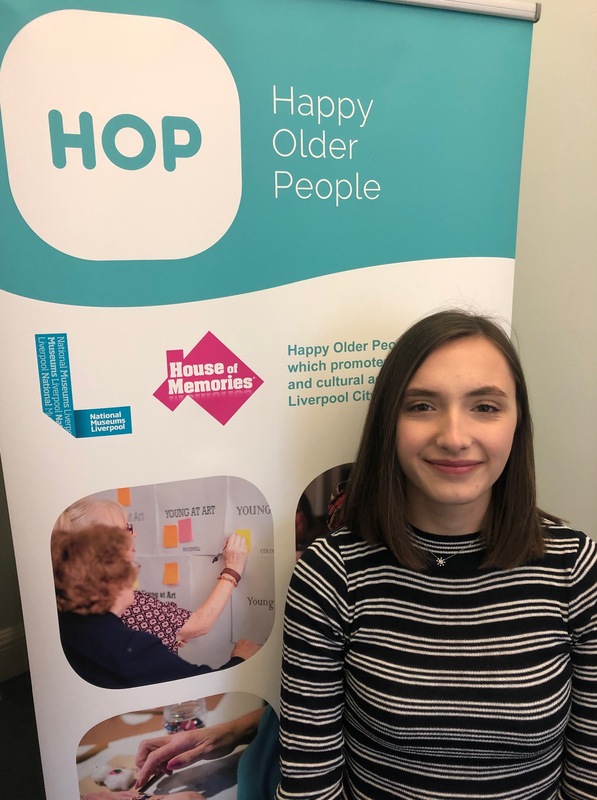 As part of my placement, I will be contributing to the HOP website and newsletter, as well as helping out with the House of Memories blog, social media and website. I’ll be shadowing Emma, the HOP network coordinator, so you may see me out and about at meetings and events. I’m very interested in how museums and cultural organisations work with communities, especially through fun activities like arts and crafts, singing and reminiscence. I’d also like to gain an insight into marketing and communications in museums.